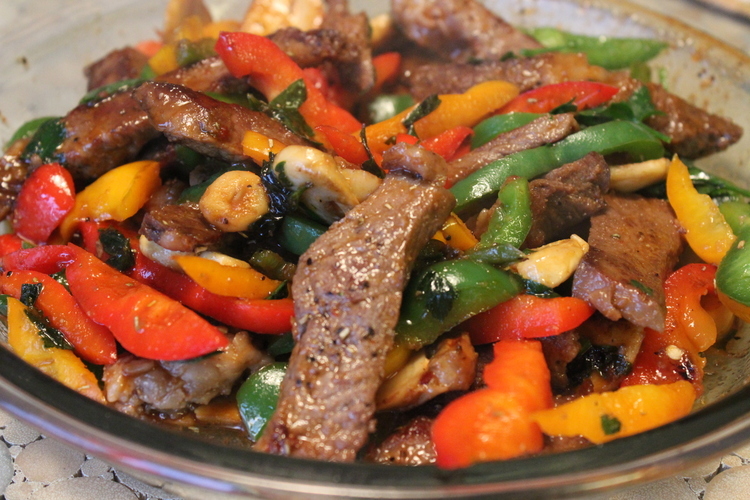 ASIAN STEAK AND PEPPERS IS ONE OF THOSE MEALS THAT IS EASY AND QUICK TO FIX FOR THE FAMILY. SINCE I ONLY HAD 1 RIB EYE STEAK AND A LOT OF PIECES OF PEPPERS LEFT OVER FROM STUFFED PEPPERS I HAD MADE THE NIGHT BEFORE, I DECIDED TO DO A STIR FRY. I USED ORANGE, RED, GREEN AND YELLOW PEPPERS BUT YOU CAN USE WHATEVER TYPE OF PEPPERS YOU HAVE ON HAND. THE DIFFERENT COLORS MAKE IT MORE BEAUTIFUL. STIR FRY THE STEAK FIRST AND REMOVE FROM THE PAN. THEN IN THE SAME PAN STIR FRY THE VEGETABLES. THE SAUCE IS VERY IMPORTANT. SO I USED A FAVORITE SAUCE FROM A FLANK STEAK SALAD THAT I LOVE. THE SAUCE HAS ASIAN CHILI SAUCE, SOY SAUCE, BROWN SUGAR AND LIME JUICE WITH SOME FAVORITE HERBS. 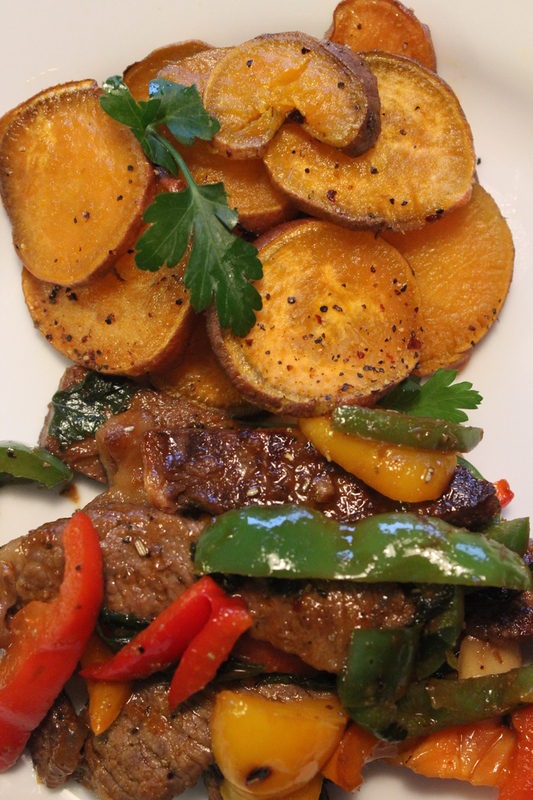 THE FINISHED ASIAN STEAK AND PEPPERS ARE BOTH DELICIOUS AND NUTRITIOUS AND EASY TO MAKE. TRY IT YOU WILL LOVE IT! All types of peppers have health benefits and each type of pepper contributes a little differently to your over all healthy. The potential health benefits of peppers are listed at http://www.webmd.com/food-recipes/features/health-benefits-of-peppers. Try this recipe you will love the asian sauce with the steak and peppers. Make the sauce by mixing the olive oil, sesame oil, vinegar, lime juice, oregano, thyme, brown sugar, oriental chili sauce and soy sauce and set aside. Cut up the peppers, slice the mushrooms, chop the parsley, seed and chop the jalapeno. Cut the beef into strips. Add 2 tbsp. olive oil into skillet and stir fry the beef on med. high heat until brown. Remove from pan and pour 1/2 of the sauce over beef. Add the peppers, mushrooms jalapeno to the skillet and stir fry for a couple of minutes. You want the pepper to remain semi crispy. Return the flank steak to the pan and add the remaining sauce and the parsley. I served it with Sweet Potato Chips. Rice would also be good.